Leadership of different kinds exists at many levels in the post-compulsory sector-from principles to programme leaders, administrative staff and even caretakers. 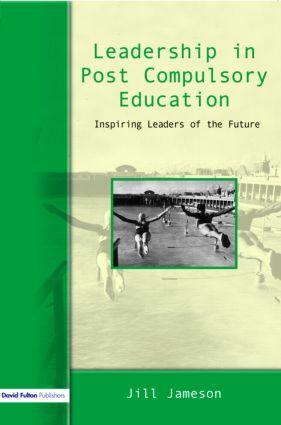 Based around case studies of current leaders in post-compulsory education, this unique book explores a number of leadership models and styles in order to provide inspiration and guidance for the next wave of potential leaders. * Captures authentic "voices of the leaders"
Presenting a wide and holistic view of leadership at different levels, this book is relevant for all potential and current leaders in post-compulsory education. By encouraging readers to review and reflect on the models described, the book will inspire leaders of the future to develop their own leadership styles and visions.